For this festive season of Navratri, women from ‘Aadharika Samaj Vikas Sanstha’ come together and bring to town exemplary collection so you can get into your best attire this Navatra. 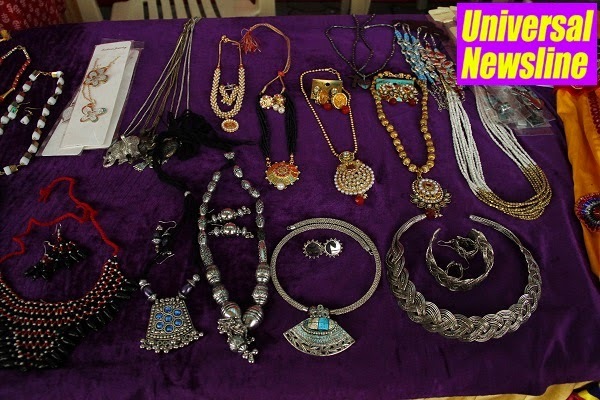 Get ready to shop for beautiful embroidered chaniya choli, colourful kurti’s, and accessories like fine –jewellery, ear-rings, bracelets, trinkets and many more all available at -“SHOP & ASSIST HER”- Stall set up at Growel’s 101 Mall. A Women Empowerment initiative Program launched to support women living in slums to earn their livelihood. A Navaratri special exhibition put up by small scale women entrepreneurs to earn with dignity and accumulate revolving Fund to support other slum women in setting up their own small ventures.